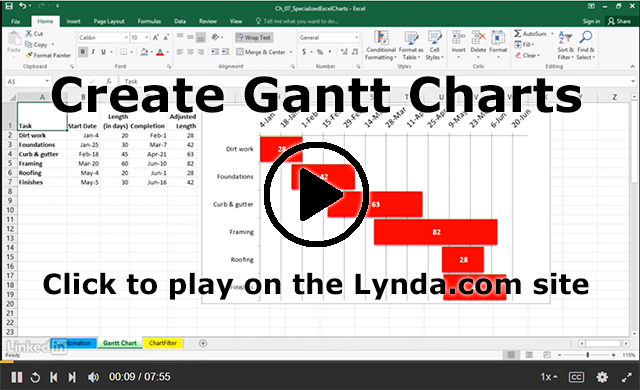 A screenshot from the Create Gantt Charts video shows a simple Gantt chart placed on an Excel spreadsheet. The chart is a series of stacked red bars that represents the length of time various parts of the project will take. 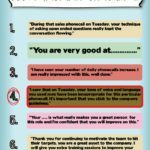 The text on the screenshot states, Click to play on the Lynda.com site.